Mash banana in large bowl, add remaining wet ingredients, and whisk together. Fold in 3/4 cups fresh organic blueberries. 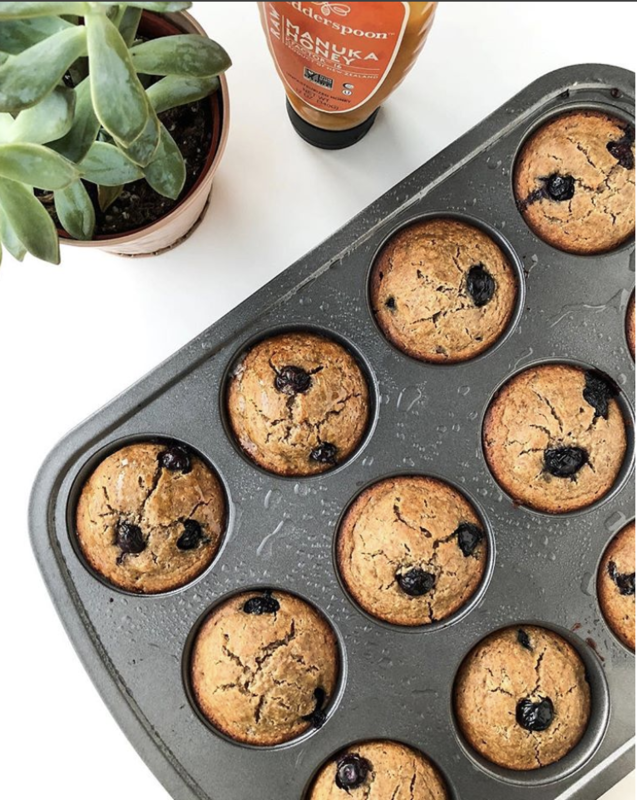 Spray muffin tin with coconut oil and pour batter in 3/4 of each cup. Drizzle with Wedderspoon Manuka honey.